Kennedy Library, and all CSU libraries launched the new, shared library software platform OneSearch in June 2017. 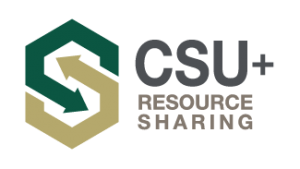 California State University (CSU) campuses have adopted OneSearch, a library management system that improves access to digital resources, streamlines the inter-library loan process, and overall enhances your library experience. One Search is the official name of the new Unified Library Management System (ULMS) and provides access to over 1 billion digital items. These items include articles, e-journals, and e-books, creating a large pool of resources in a single location to simplify the research process. OneSearch, instead of many searches Separate searches for electronic articles, databases and physical books. All CSU library collections, electronic articles, databases and physical books in one seamless search. Why did the CSU change software? Organizing all collections in a single system eliminates the need for multiple outdated online catalogs at each campus. Anyone can find what they need with a single search. Books, electronic articles, eBooks and database results are discoverable from OneSearch. Library visitors at any campus can access and order books from any CSU library collection. On June 27, 2017, PolyCat, the prior catalog of Kennedy Library, was replaced. The new search tool, One Search, was be integrated into the library’s home page search. Library staff have been preparing data, testing and training for two years to meet this launch date. We are excited to share the new system with the Cal Poly community. What happened to Link+ ? Link+ was replaced by CSU+, providing 3-5 day delivery of books and other tangible items from CSU libraries. All standard interlibrary services (Interlibrary Loan for physical materials and RapidILL for electronic article delivery) will continue to provide swift delivery of books, media and articles from a vast network of partner libraries. Search for the title you want. Select the title to access the item page. If the item is not available at the Kennedy Library, or is checked out, click “Request from CSU Libraries: CSU+” to create a request. Submit the request and wait for the item to arrive! What if CSU+ request is cancelled? A cancelled request means that no CSU libraries were able to send the requested item, but you can still order it from a non-CSU library. If you still need the item, just click the link in the email. It will take you to a prefilled Interlibrary Loan request form–just click submit and you’re done. If you no longer need the item, you can ignore the email–there’s nothing more you need to do. What if I can’t find the item I need in OneSearch? If an item isn’t shown in OneSearch it means that no CSU libraries currently have access to that item. You can order items from outside the CSU system by signing into your Interlibrary Loan account. Hooray, Monday! It's 1:48pm right now.